This 2400sqft vacation home sleeps 10+ people. Great for a weekend retreat or family vacation. 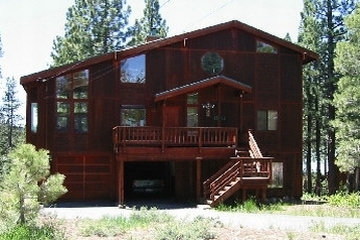 One should be able to find all the information necessary to rent my Tahoe cabin here. Don't hesitate to send me questions on the cabin or area. I'll respond promptly. I know your vacation decision is an important one. This great cabin is ready and waiting for you to come visit.